The political season is in full swing with candidates doing all they can to get those votes in November, and not just for the presidency but for the Senate and House elections as well. Candidates use a variety of tactics to get in touch with potential voters by means of rallies, TV ads, and phone banks, just to name a few. The use of music during campaign rallies and on TV commercials has been a staple of political campaigns. Candidates want to connect to voters through use of popular songs, but most popular songs are copyrighted, which means that permission from the copyright holder must be obtained before use. One would think that people running for political office and the people who run their campaigns would understand and respect copyright laws. History has proved that this is not the case. Often candidates play recorded music during their rallies, and quite often, the creators/copyright holders of that music ask them to stop. Other times copyright holders sue. The court has so far denied a motion to dismiss by the Cruz campaign. The Cruz campaign was not the only campaign that ran afoul of copyright law. Mike Huckabee’s campaign settled out of court in a copyright dispute over use of the song “Eye of the Tiger.” The campaign paid the copyright holder, Frankie Sullivan, $25,000. The campaign attempted to argue fair use in regards to the iconic song before the settlement was reached. Bruce Springsteen. Born in the USA. The people who want to be elected to be our leaders should understand that copyright laws, like other laws, are for everyone. There is no political exemption. Bob Marley. Lawsuit. A Copyright Battle. 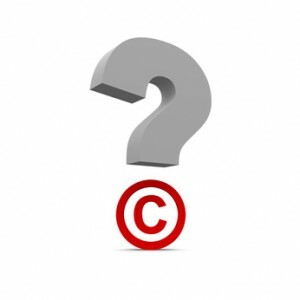 Do you know if you are infringing on a copyright?